While researching history of the city of Redington Beach, we, at Done Rite Party Rentals, discovered that in the 1920’s the town was named after its developer, Charles E. Redington, who moved his wife, Hazel, and their five children to the city of St. Petersburg, Florida. Upon his arrival, Mr. Redington envisioned building a resort area that would emulate Miami Beach. He didn’t quite realize that goal but we are pleased to say that our vision of being in a business that brings joy to both young and old has come true. 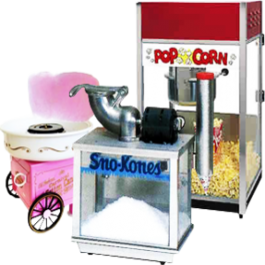 We provide special party inflatables, such as bounce houses and water slides for birthday parties and numerous other events in Redington Beach. Other celebrations might include picnics, carnivals or community affairs. Redington Beach was known for its famous Tides Hotel in the 1940’s. While the more wealthy residents of Redington Beach dined and danced in the Tides Hotel and Bath Club on summer afternoons, their offspring were learning to swim in the hotel pool. Folks in the town of Redington Beach don’t have to have a lot of money to provide their youngsters with entertainment. 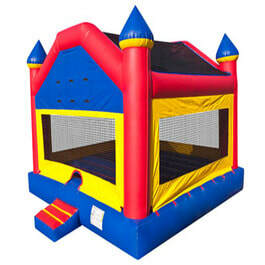 We rent out our bounce rides, castles and spacewalks for a price you can afford. Watch the faces of your little ones light up at the sight of our fun inflatables. A bounce house allows kids’ the freedom to run and jump in a safe environment. Our choice of bounce rides varies in sizes and themes. Slides come in kid sizes and sizes to accommodate adults. Why adults? Why not? Even grownups like to let their hair down occasionally. And, bonus, coasting down a water chute is a great way to cool down in Florida’s heat. Ask about our selection of games. 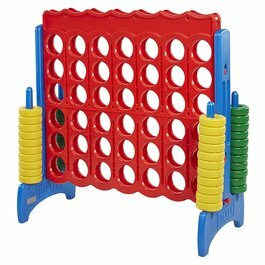 An interactive game adds a little zest to any festivity. Done Rite Rental inflatable rides can be set up in any Redington Beach venue…..backyards, parks or any area with ample space. 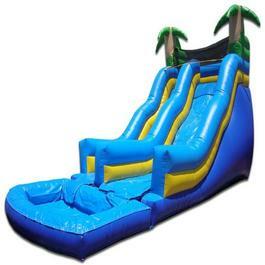 Our company workers deliver and set up all party bounce buildings and water chutes. Every piece of equipment is firmly secured for the safety of all party guests. Punctuality is of utmost importance to Done Rite Party Rentals. All moonwalks, bouncers, jumpers and slides will be in place before the event starts. For a comfortable place to rest between bouncing adventures, you have the option of renting chairs from our inflatable rental company. Why not add a table to the scene? 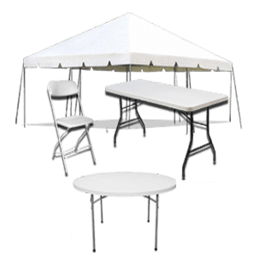 Done Rite Party Rentals can supply a table to accommodate a large number of guests as well as a smaller group. Health regulations dictate that all inflatable rides (bounce houses, etc.) be washed and disinfected before and after each use. Our business is licensed and insured and we adhere to all city and county rules and regulations.